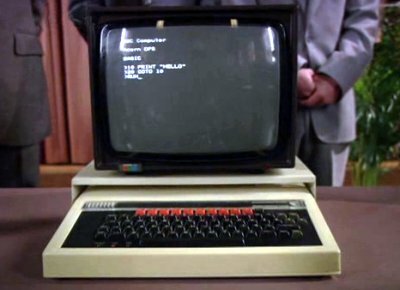 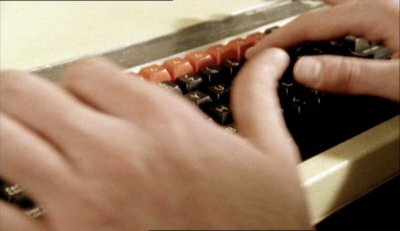 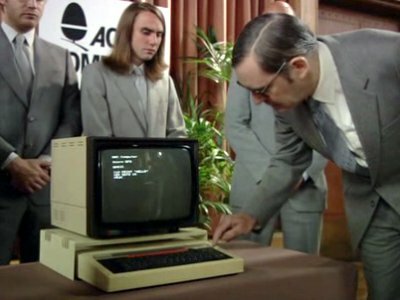 Released in 1981, the BBC Micro was a popular computer in the UK, particularly in education as a result of its use in a BBC computer literacy programme. 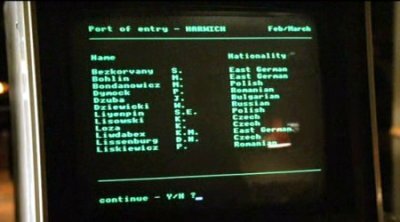 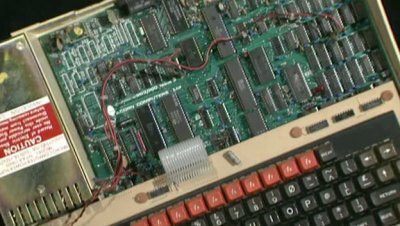 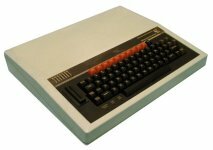 John Preston uses a Viglen-modified BBC Micro to research the recent movements of Soviet block citizens. 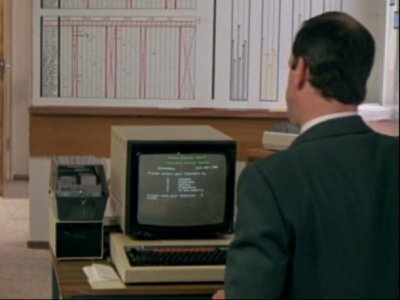 The computer lab is equipped with a number of Beebs. 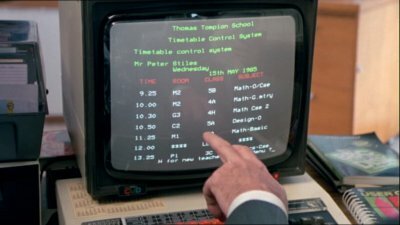 Gonch comes up with the idea of a PE reminder system, using one of the school's BBC computers to print reminder slips for pupils so that they do not forget their kit. 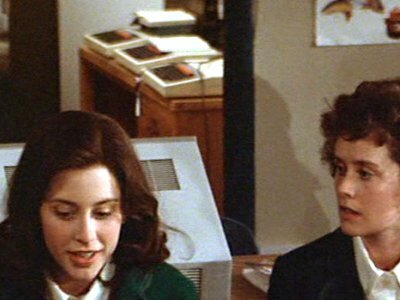 Supergirl assumes the identity of a normal schoolgirl she calls Linda Lee. 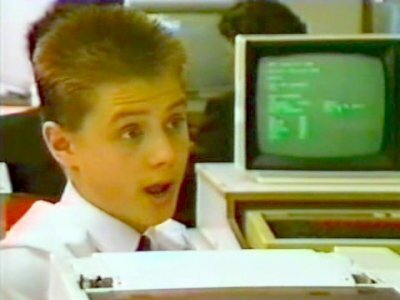 Whilst at school she joins a computer class and BBC Micros are seen at the back of the classroom. 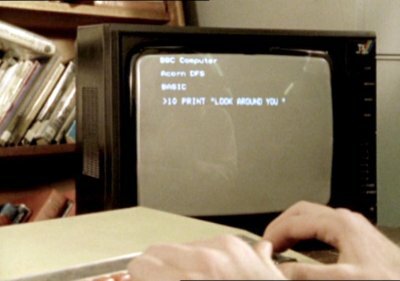 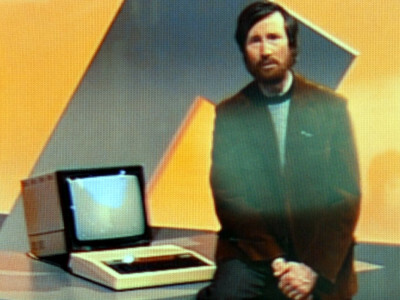 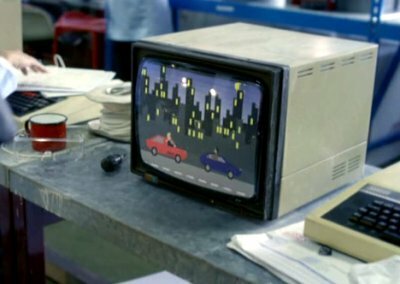 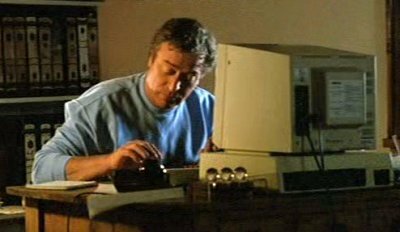 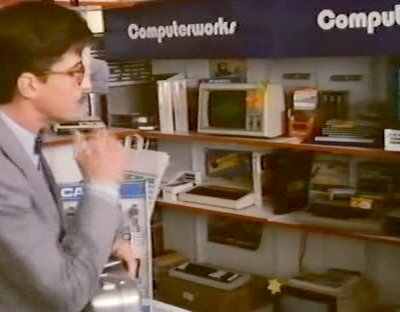 This would have been spot on if the film was set in Britain, but the BBC Micro was a major flop in the USA.